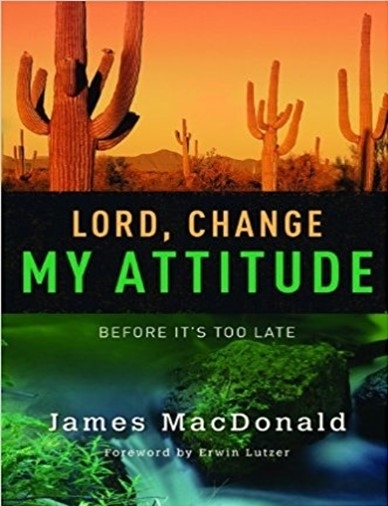 A bestseller since 2001, Lord, Change My Attitude Before It's Too Late is classic James MacDonald: bold, practical, and communciated in a way designed to set readers free from the negativity that erodes happiness. This new revision now includes study application questions in each chapter to help readers identify the attitudes of the heart that need change in order for God's abundance to flow. While patterns of thinking won't always change overnight, Pastor MacDonald shows readers how to begin to recognize wrong attitudes and work on replacing them with the right ones.